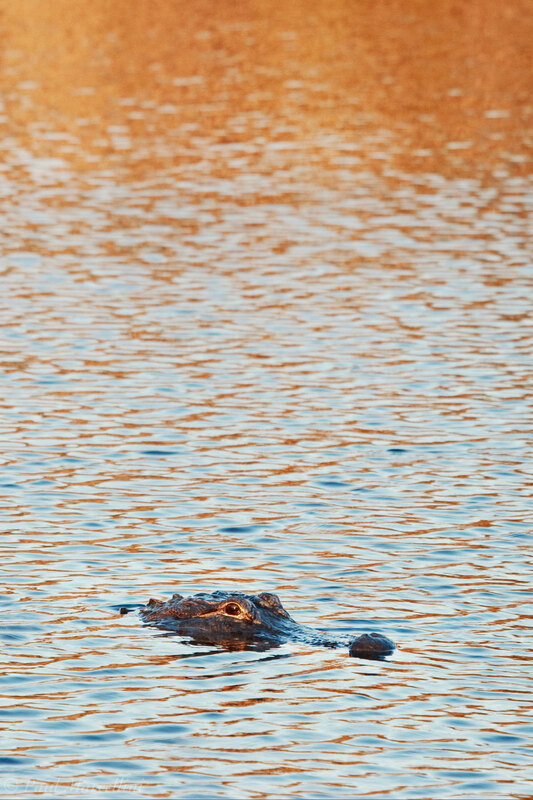 An American alligator (Alligator mississippiensis) with rippled water reflecting the blue sky and orange light of the afternoon. This image can be printed in different size ratios, please pay attention to what size you would like. Photo © copyright by Paul Marcellini.